How Long Should a TV Season Be? Mr. Robot’s stunning first season is only ten episodes long. Suits’ seasons are 16 episodes (except for season one, which was 12); Graceland does 13 episodes per season; Playing House does eight. All these shows are currently airing on USA. Rectify just finished its beautiful, dreamy third season — a six-episode batch, like season one, even though season two was ten. Deutschland 83’s first season was eight episodes. 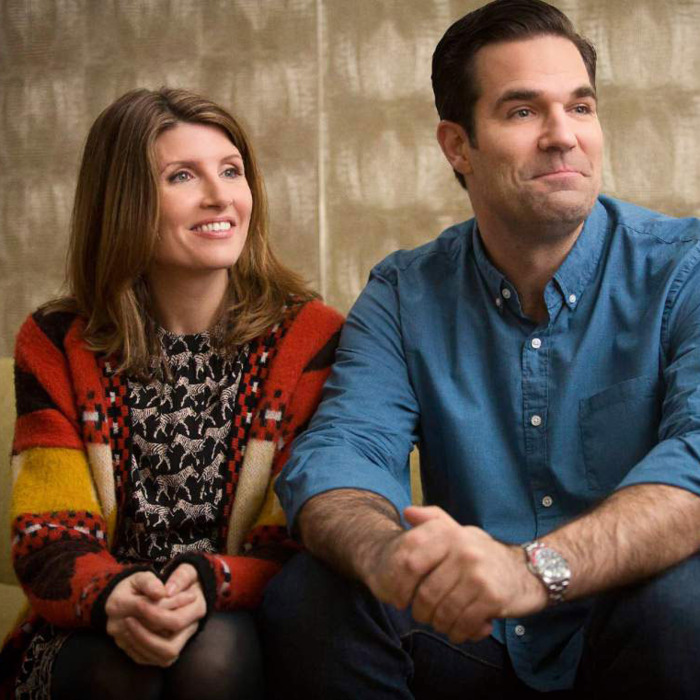 Catastrophe crammed all its wit and charm into six half-hour episodes. How to Get Away With Murder had an unconventional 15-episode first season. Transparent is ten episodes. Game of Thrones is ten. Girls is usually ten, but sometimes 12. Gone are the days of 22 episodes being an across-the-board standard, and in its place are these scantier and scantier batches. The feeling is not just of too few episodes, but of so long between seasons: You’re the Worst will have gone almost exactly a year between new episodes. There was a time when Melrose Place used to air 34-episode seasons, and its longest absences were under four months; our modern prime-time Fox soap Empire’s second season will be 18 episodes, and that’s up from just 12 in season one. But even given the business reality of our modern age and the inherent difficulties of just making good television, it’s hard as a viewer not to feel a little short-changed. Yes, there’s so much television now — maybe too much? Not for me. That’s like wondering if there’s too much creativity in the world, or too many good days. I want more TV. And not in a gluttonous, no-such-thing-is-enough capacity. More like, I don’t want a crop top, I want a full damn shirt, and it’s not greedy or improper to think, Hey, a shirt means the whole thing. No one wants bloated or diluted seasons, but I’ve been in meetings longer than the entire run of Doll & Em. There’s no one right length, of course, just like there’s no right length of a novel or runtime for a movie. But there are so many wrong lengths! And six episodes is the wrong length. It’s too short. That is not enough TV to constitute a “season.” Eight episodes of a half-hour show is barely more than a movie. Ten feels like the bare minimum, and even then, it’s not always enough. By far the weakest episode of Catastrophe’s (wonderful) first season was its finale: rushed, a little forced, a sliver contrived, because the natural arc of the story demanded at least one but ideally infinity more episodes to explore. Rectify — again, great — has doled out its story a molecule at a time, but this season could easily have included one or two more molecules, particularly about Janet and Ted’s marriage, or more about the conclusions of Carl’s investigation. Six episodes is an acceptable length only for a mini-series, and even then, maybe we’d be better off with either more or less story. Viewers become habituated to different lengths of series. TNT and ABC Family’s audiences tolerate split-season models, as do fans of The Walking Dead. British viewers apparently think two episodes and a Christmas special every 19 years is completely appropriate and normal. At this point, audiences have been trained to expect around 13 episodes per season from our prestige dramas, and 22 or so from our network shows — putting series like The Good Wife in the tough spot of having to crank out more episodes in one season than, say, True Detective has in two. And so we have shorter seasons, especially for high-end shows, and this helps fuel the idea that the arduous slog of a 23-episode season is antithetical to real storytelling; that great shows, of course, will come in smaller doses. But now that antihero is out and multi-character stories are back in — like with Game of Thrones or Orange Is the New Black — can’t seasons expand, too? We still don’t know why Red is incarcerated, and GOT is resorting to lopping off entire characters from the books. More episodes, please. Yes, it’s a lot of work to make more television per season. Perhaps Shonda Rhimes can give lessons?